The following article originally appeared in Renewal Ministries’ March 2019 newsletter, which you can view here. As the spiritual battle increases in intensity both in the Church and in the world, those who are diligently persevering in trying to follow Jesus and to be faithful to Him become ever the dearer to one another. To have companions on the journey (and there are so many of us who are making the journey together as friends of Renewal Ministries and of each other) is a great blessing. People continue to ask me what my current thinking is, particularly on the crisis that continues to unfold in the Church. I think what I said in my letter Dear Troubled Catholics that we published in the September 2018 issue, which is available on our website (www.RenewalMinistries.net ) continues to represent how I see the situation and what my advice would continue to be. Unfortunately, in the months since we published the letter, there have been near-constant continuing revelations of abuse, cover up, and outright lying among some of the Church’s worldwide leadership. And some of the people who continue to hold high positions in Rome, including some recently appointed, are deeply troubling, particularly as it pertains to homosexuality and the cover up of immorality among the clergy. I would also say that the first instinct of many in leadership continues to be to try to protect the reputation of the institution, often at the expense of telling the real truth, in order to placate the world and its values. At the same time, many mature Catholic laypeople are respectfully but forcefully confronting some of this lack of courage and truthfulness, and they often are finding receptivity among the leadership they address. Bishops can’t outsource their primary roles as preachers of the Gospel to their communication and public relation departments, whose understandable tendency is to “put out the fires” and “make the Church look good” even in moments when the corrupt culture of the world needs to be directly confronted rather than placated. Remember what Cardinal DiNardo said when he announced the serious reform steps the bishops were planning to take: “Hold us to this.” Unfortunately, the bishops were later forbidden by Rome to take those steps toward reform. Let’s hope that they will soon be able to do so. Let’s continue to respectfully hold the bishops to the honesty and sincere reform that is absolutely essential for a healthy Church. 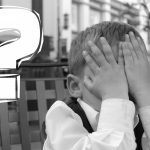 While the abuse of minors issue certainly is of great importance, it appears that significant leadership in Rome and other places would like to keep our focus exclusively there and not allow attention to also be directed to sexual immorality, not only with “vulnerable adults,” but with anyone, consensual or not. Serious violations of chastity corrupt the clerical perpetrators and also those who are sinned with. I think the advice I gave in my September letter still stands. Let me repeat it, with a few additions, for your consideration. “And so, what can we do as we continue to pray for the pope and our leaders that God may give them the wisdom and courage to deal with the root of the rot and bring about a real renewal of holiness and evangelization in the Church? “We need to go about our daily lives, trying to live each day in a way pleasing to God, loving Him and loving our neighbor, including the neighbor in our own families. We need to look to ourselves, lest we fall. “We need to remember that even though we have this treasure in earthen vessels (or as some translations put it, “cracked pots”), the treasure is no less the treasure. Don’t throw out the baby with the bathwater! Baby Jesus is the treasure, and He is still as present as ever and still as ready to receive all who come to Him. And the Mass! Every day, He is willing to come to us in such a special way. Let’s attend daily Mass even more frequently, to offer the sacrifice of Jesus’ death and resurrection to God the Father, in the power of the Holy Spirit, for the salvation of souls and the purification of the Church. Where would we be without Him? We simply wouldn’t be at all! “We need to remember that the Catholic Church is indeed founded by Christ and, despite all problems, has within it the fullness of the means of salvation. Where else can we go? Nowhere; this is indeed our Mother and Home, and she needs our love, our prayers, and our persevering in the way of holiness more than ever. “We need to remember that there are many truly holy and dedicated bishops and priests, and we must pray for them and support them. They need and deserve our support. “That isn’t to say that we don’t need to take seriously and do all we can in response to the grave scandal we are facing in our time. We need not to be silent when the truth is not preached in our parish churches. We need to encourage those who preach it when it is preached. We need not to be silent or passive when we see shady things happening. We should not hesitate to ask for an appointment with our bishop or to write to him and respectfully yet directly, share with him our concerns. “And yet we need to remember that all this is happening under the providence of God, and He has a plan to bring good out of it. It was even prophesied strongly in Mary’s apparitions in Akita, Japan. Jesus is still Lord and will use the current grave problems to bring about good. Let’s continue to pray and offer sacrifices for the conversion of sinners and as reparation for sin, and let’s pray the rosary daily as Mary requested, for peace in the world and true renewal in the Church. And let’s continue to be encouraged and inspired by all the wonderful things that we see the Lord doing all throughout the world! Lent begins this month, which makes it a perfect time to share the following reflections by Ralph Martin, on resting—abiding—with the Lord. The following article is compiled from a talk that Ralph originally shared at a recent Renewal Ministries’ staff retreat. Why do we have this time on earth? We are here to get ready to be with Jesus. To prepare to be with our Lord, we must strive “for the holiness without which nobody will see the Lord” (Heb 12:14). Sometimes we miss how clear and absolute what Jesus says is. An essential aspect of striving for holiness is “abiding in the Lord”—simply being present with Jesus. 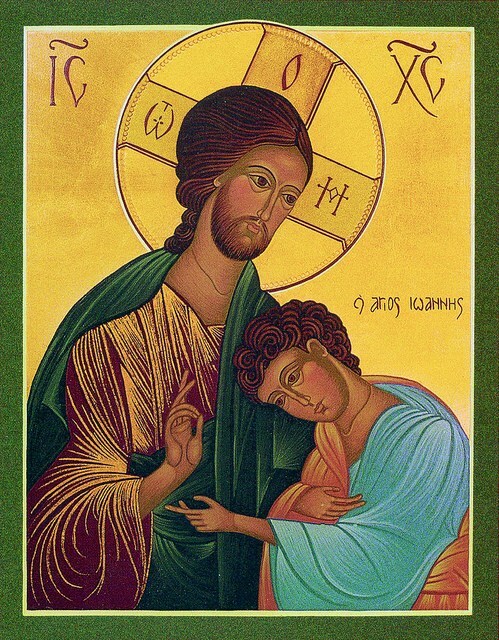 Picture an image of the beloved disciple John resting his head on Jesus. What amazing confidence in His trustworthiness, fidelity, loyalty, and love! Only the love of God is perfectly reliable—something we can rest the whole weight of our lives on. God wants us to live in surrender, confidence, and trust. In order to do this, we must take the time to be attentive to the Lord, to be in His presence. Christ loved the Church by sacrificing Himself for us so He could present Himself wholly and without blemish—and He asks us to love in this same way. To live in this way, we must tap into the supernatural. He says, “apart from me, you can do nothing” (Jn 15:5). Thankfully, He also says, “for God all things are possible” (Mt 19:26). However, while we must offer the Lord all of our loaves and fishes (Mt 14:17-18), we also must then dispose ourselves to God’s action; we can’t try to force God’s action. We must be open to receive from the Lord, instead of taking, even the good things that we think may be His will for us. This is why it is important to work from our rest, from our abiding with Jesus. We need to act in a way that allows God’s power to come into our actions. Abiding has value. The Lord wants to be close to us. He had us in mind before He created the universe. He really chooses us. “He destined us in love to be His sons” (Eph 1:5). He created us to be holy and to love. Ultimately, there is no other vocation than holiness and love. In order to live this way, we must get clear in our thinking. We must be sober. As 1 Peter 1:13 says, “Therefore gird up your minds, be sober, set your hope fully upon the grace that is coming to you at the revelation of Jesus Christ.” Christian hope, hope in Jesus, consists of sins forgiven, death overcome, eternal life, and union with God. The gift that’s coming to us is the gift for which we were created—perfect love and community. After one of the apparitions, in which our Blessed Mother asked Bernadette to dig in the ground for a spring and to wash her face, Bernadette both humiliated herself by covering her face with mud as she drank and uncovered a spring that had not been known to previously exist. People continue to flock to Lourdes today, and many healings have been attributed to their prayers at the waters there. After each of her visits with the “Beautiful Lady”—which is how Bernadette originally described our Blessed Mother—Bernadette’s own face was transformed and radiant with joy. Lourdes is not heavy on messages—it’s heavy on the reality and beauty of heaven and the supernatural. Bernadette would bow down to the ground and show profound reverence for the holiness of heaven revealing itself. She also made the Sign of the Cross with such reverence that it showed the holiness of the Trinity. After the last apparition, Bernadette stayed in Lourdes another eight years and became illuminated every time she told the story of Mary’s appearances. She eventually joined a convent and lived a quiet life of prayer and suffering. Bernadette experienced ill health throughout the rest of her life and died at age thirty-five. In fact, our Blessed Mother had told Bernadette that she did “not promise to make (her) happy in this life, but in the next.” Now, almost 140 years later, Bernadette’s body remains incorrupt. Much of Mary’s message at Lourdes was personal to Bernadette, about Bernadette joining her suffering to the suffering of Christ for the salvation of souls. However, Mary also called all of us to penance, penance, penance—prayer and sacrifice, just like in Fatima. How often do we take time to abide with the Lord and ask Him to show us His love for us—to look at us with love? That is the only way we can go forward in His will, better loving Him and others. Bernadette’s simplicity should reinforce our understanding of the fact that, unless you become like a little child, you will not enter the kingdom of God. Being like a little child affects our ability to receive the word He speaks to us. Let’s keep pressing on while resting in the heart of Jesus, allowing Him to little by little transform us into His likeness. Rest in Him. Abide in Him. Be a child. 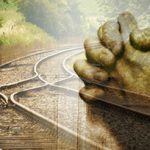 This article originally appeared in Renewal Ministries’ February 2019 newsletter. Ralph spoke at a Day of Renewal event in Kaunas, Lithuania, attended by more than one thousand people. Events in the Church and the world continue to unfold, but our job is to “press on,” sharing the message of salvation with all that will hear and strengthening those who are laboring in the vineyard of the Lord. I’d like to share with you about one of our most special missions, that which we do in Lithuania. Why is it special? Because it is the first place we went as the Lord began a new phase of our work in Renewal Ministries. We had been doing individual mission trips for many years, but this was the first time that we began to develop teams to multiply what we were able to do individually. My dates may be a little off, but I think this is how it all unfolded. In 1992, three young Lithuanian students arrived in the US and had one dollar among them. They used it to call a Lithuanian American priest in Connecticut, who told them not to proceed to the Protestant conference they were invited for, but to stay in the airport until he could pick them up. He then drove them to the Franciscan University of Steubenville (FUS), so they could see authentic Catholic renewal. When they returned to Lithuania, they shared their experiences with their archbishop, Sigitas Tamkevicius, who had recently been released from Siberian labor camps as the hold of the Soviet Union was broken. He then traveled to FUS and met with Fr. Michael Scanlan, who in turn contacted me about going with him to Lithuania to help strengthen the Lithuanian church that was newly emerging from long oppression and persecution. We traveled there in 1992 and did some initial conferences. The next year, we returned with the FIRE team and did some big FIRE rallies that were pivotal in giving birth and strengthening significant renewal communities and ministries that we have been supporting with periodic visits and financial aid ever since. At that time, Peter Herbeck, Sr. Ann Shields, and I had begun regularly praying together to seek God’s direction for us, and one day Sr. Ann got a word from the Lord that we would be going to Lithuania. She said she didn’t even know where that was. Shortly after, that the events described in the above paragraph unfolded! I was back in Lithuania in 1998, but other team members then took over the support of our work there, including Dr. Peter Williamson, who served in this way for many years, and now, Bohus Zivak, from Slovakia, who currently does significant work there on behalf of Renewal Ministries. So it was a real joy to return to Lithuania last fall for a full week, at the invitation of Archbishop Gintaras Grusas. I first met the archbishop when he was a deacon preparing for St. John Paul II’s visit to Lithuania in 1993; interestingly, only a month before my most recent arrival, he had just finished organizing Pope Francis’ visit. His main concern for my time in Lithuania was that his priests and seminarians, and as many priests and seminarians from other dioceses as possible, heard my teachings on holiness, evangelization, the new Pentecost, etc. Over three days, I gave eleven talks to the priests and seminarians at the major seminary in Vilnius, the capital. Some of the talks were transmitted live to the next two biggest dioceses in Lithuania, Kaunas and Telsiai, where priests were gathered for their monthly study days. A total of about 220 priests and seminarians heard all or some of the teachings. This was about a third of the 700 or so priests in the entire country! The archbishop and his auxiliary bishop of Vilnius—along with myself and the only other layman there, the one doing the videoing—each prayed over a line of seminarians and priests who wanted more of the Holy Spirit active in their lives. While there, the archbishop also scheduled me to do major media interviews to publicize the publication of the Lithuanian translation of The Fulfillment of All Desire. On my last weekend in Lithuania, I did an all-day rally at the cathedral in Vilnius, which was full, and then drove to Kaunas for an all-day rally there as well, in the largest conference hall of the university. They were wonderful days full of blessings and the presence of God. At the end of the last rally, I spent time with the Living Stones Community, which we have been supporting through your generosity all these years and which continues to do effective evangelization throughout the country. They gathered together the 1000 people who overflowed the university conference hall. I also had contact with other groups we are helping in university evangelization, apologetics, and other evangelization efforts. We work in more than forty different countries now, but we will always have a “soft spot” in our hearts for where these missions all began and continue to this day. Thank you for your role in making this and so many other things possible to strengthen God’s people and draw as many as possible to Himself. Last month, I gave an overview of all the amazing work the Lord has allowed us to accomplish over the past year and what we hope to continue to accomplish in the new year. This month, I want to announce a new initiative that could significantly contribute to our ability to continue being a clear voice for the Gospel for years to come. We are launching the St. Catherine of Siena Legacy Society, which will enable our loyal supporters to continue their support after their deaths. Each year, a fair number of our supporters “move on” to the next stage of the mission, and when we are notified, we have a Mass said for each one of them. 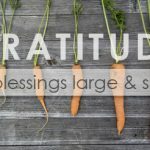 Periodically, we are notified also that a longtime supporter has remembered us in their will, and when that bequest arrives it always is experienced as an especially wonderful blessing. We want to extend this opportunity to everyone and so are establishing the St. Catherine of Siena Legacy Society for those who have decided to remember the mission of Renewal Ministries in their will or trust. 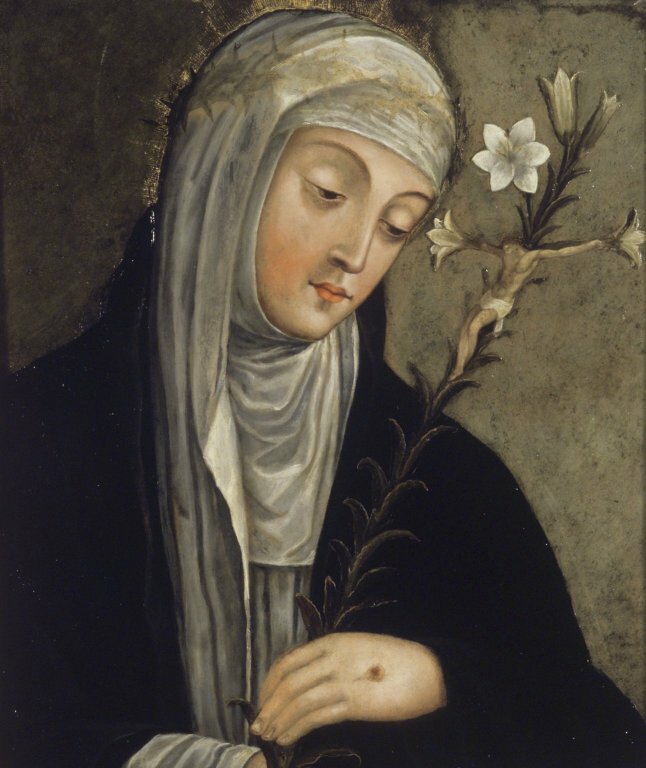 Why St. Catherine of Siena? She embodies our mission in many ways. She was deeply contemplative and deeply Charismatic. She communed continually with God in prayer and received amazing wisdom and insight from Him, and at the same time prophesied to the pope, cast out demons, healed the sick, and called many to repentance and a life of holiness. 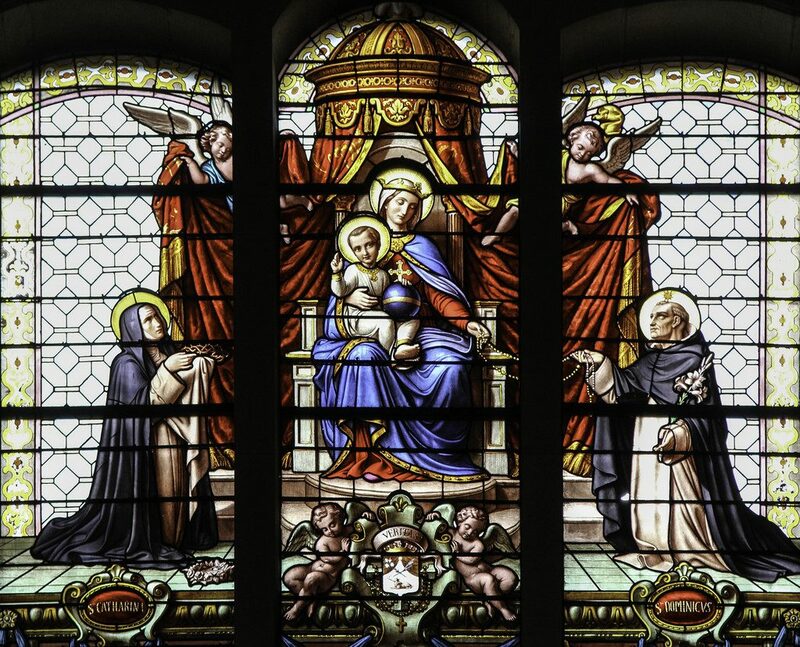 She lived at a time of great crisis for the Church—with competing claimants to the papacy and the legitimate pope living in fear and subservient to the French political powers in Avignon, France. When she arrived in the papal court, she smelled the “stench of sin.” She even wrote passionately about the horror of homosexuality among the clergy and cowardly bishops who transferred offending clerics to other assignments without appropriate discipline. Her passion for the Lord and the renewal of the Church, combined with her deeply contemplative and Charismatic ministry, is inspiring to us. And so the name! If you live in the United States: I give and bequeath to Renewal Ministries Inc., 230 Collingwood, Suite 250, Ann Arbor, MI 48103, Tax ID 38-2385975, the sum of $__________ (or % of residual estate) for its general uses and purposes. If you live in Canada: I give and bequeath to Catholic Renewal Ministries Inc., 331 Evans Avenue, Toronto, Ontario M8Z 1K2, Registration No. 12374-0243-RR0001, the sum of $__________ (or % of residual estate) for its general uses and purposes. When you name Renewal Ministries, you should include either our US or Canadian address, legal name, and Tax ID number (depending on where you live) so there won’t be confusion with other similar non-profit organizations. When considering such donations, people sometimes ask me about Renewal Ministries’ longevity. Our goal isn’t to go on forever, but to go on as long as the Lord gives us strength, capable colleagues, and sufficient financial support. In that regard, things are looking very promising. The Lord has provided us with a good range of ages in the leadership of Renewal Ministries, and even if one of us was no longer here, the remaining team and new people the Lord may add to it would be able to carry on quite effectively. My own father lived until he was ninety two—active and alert to the day he died—and I have no plans to retire, as I don’t consider this a job, but a mission, and I have as much energy and zeal for the Gospel as ever. Peter Herbeck is sixteen years younger than me, and Pete Burak is considerably younger than Peter—so succession is looking good as well. Plus, we have two excellent boards, one for the US and one for Canada, with very capable people and truly excellent Episcopal advisors, Archbishop Robert Carlson, of St. Louis, and Cardinal Thomas Collins, of Toronto. 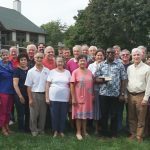 In the extreme eventuality that Renewal Ministries didn’t have the leadership to continue, the board would transfer any assets to similar ministries that would clearly fulfill important aspects of Renewal Ministries’ mission. If you have any questions about signing up for the St. Catherine of Siena Legacy Society, feel free to contact our Director of Mission Advancement John Recznik, at 734-662-1730 or jrecznik@renewalministries.net. You can also visit our website, at www.RenewalMinistries.net/plannedgiving. Anyone who decides to remember us in their will or trust will receive a plaque of recognition and gratitude, as well as a picture of St. Catherine and a complimentary set of my CD album on St. Catherine’s life and teaching. Thank you for considering this important new initiative as we enter 2019. While in Brazil, Ralph gave three talks to leaders of prayer groups and communities. The following letter about Ralph Martin’s recent time in Brazil originally appeared in Renewal Ministries’ October newsletter. It’s amazing how many of us associated with Renewal Ministries have been asked to serve in Brazil over the last year or so! 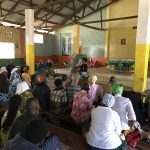 In the February 2018 newsletter, Peter wrote about his trip there (to read his account, visit www.RenewalMinistries.net/newsletter). Also, our dear friend Patti Mansfield has been going to Brazil for many years and just recently was there for a retreat for priests. Mary Healy was recently there for a retreat, and I was recently there too! I would like to tell you about what’s happening in Brazil. There are four national Catholic television networks in Brazil, and I spent most of my time there at one of the networks. Fr. Edward Dougherty (“Fr. Eduardo”), the one who invited me to Brazil, wanted to continue to celebrate the fiftieth anniversary of the Catholic Charismatic Renewal and the amazing impact it is having there, so he had me appear on a number of his TV programs. In one half-hour interview, he shared the story of his encounter with me many years ago, when another man and I prayed with him in Michigan for baptism in the Holy Spirit. I also was on a national program that evening, and then he has an all-day program on Sunday, during which I gave three forty-five-minute talks. Fr. Eduardo also arranged for a day in which key leaders from across the country came together and dialogued with me about issues of concern. It was a very worthwhile visit! On another day, we traveled to a nearby diocese that has prayer groups in every single city. The 600 leaders of these prayer groups and little communities came together, and I gave three talks to them. I was very impressed, because so many of them were in their twenties and thirties. They get big crowds, but people are living off a past experience that they want to recreate. They believe Renewal Ministries can help, because we understand the call to holiness and how to make progress in the journey. That is why they are having my book on holiness—The Fulfillment of All Desire—translated, and it should be available in the next few months. We have preserved a fervent zeal for God for many years. For many people, their zeal is flagging, and they think we can help us persevere for the long haul. 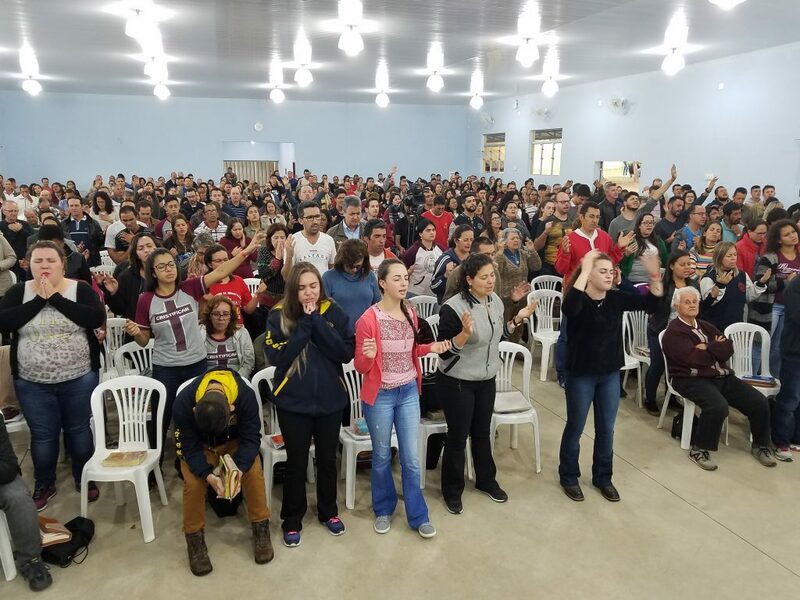 There’s a certain polarization going on in the Church in Brazil right now. There’s been a resurgence of liberation theology and a reaction to that by a more traditionalist Catholicism that’s actually closed to renewal. They think that Renewal Ministries has a balanced approach to the real vision of Vatican II and Pope John Paul II. I returned from Brazil tired, happy, thanking God for all He is doing there, and humbled by the thought that we could make a contribution to what is already such an amazing work of God.